After 3 weeks of solid development we are pleased to announce the release of our tuning package for the VW Golf R. The package is available for both manual and DSG models. As most owners will know this is the same engine utilized in the Audi S3. MRC is no stranger to this engine from a tuning perspective however we were a little concerned around exhaust development especially to try and combat cabin drone. 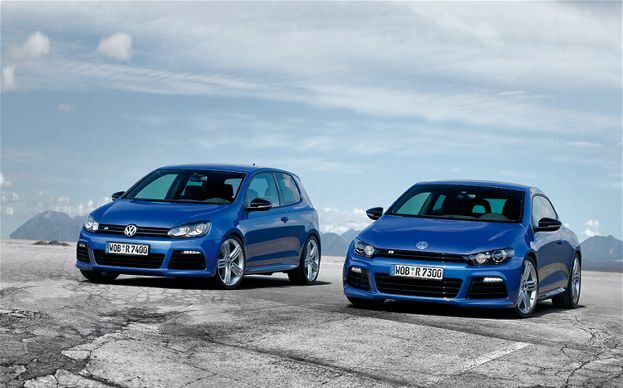 Now the Golf R using a 4wd platform brought to light problems around silencer design. Our first initial test exhaust ( pics attached smaller rear silencer is visible) was so loud that driving at 40km/h would bring around such a bad drone in the cabin that even the hardest core driver would eventually get tired of this. After playing around with 3 rear silencer units of which all 3 had to be custom made we eventually found the right solution. Now please bear in mind the pics shown are all part of our R&D unit and is not the unit built and sold in the shop. We eventually got the car to sound like a Real Golf R should. Exhaust size is 76mm and Tailpipe size is twin 101mm angle slash units. Next was the intake. After much deliberation i decided based on my knowledge i was going to test the K&N unit. with a small add on we got a a huge surprise………259kw after full tuning…… Not only does the intake work but as with all K&N units build quality and fit is 2nd to none.